A deep breath and a little imagination are key in this gentle, beautifully illustrated story that will inspire little ones to lift their own spirits – and remember that they are loved. 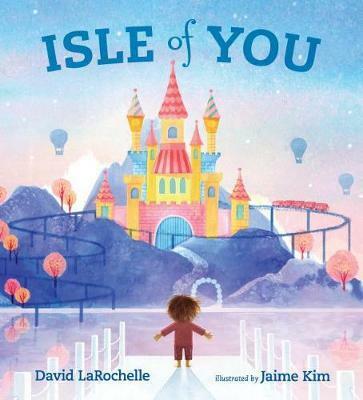 Some days are harder to get through than others, but when you’re sad, or lonely, or angry, it helps to remember these words: the Isle of You. Take a moment to shake off your worries, then set sail to a land where your dreams can come true. Soar on the back of an eagle, hunt for treasure, watch dancing polar bears on roller skates – anything you can imagine is yours. Hopeful and dreamlike, Jaime Kim’s paintings illuminate a way for young readers to visualize a brighter, happier mood in this compassionate story by David LaRochelle.